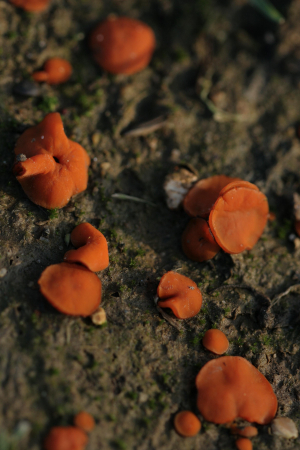 Observation - Orange cup fungus - UK and Ireland. Description: Lots of this on stubble fields. Lots of this on stubble fields.